The White House was locked down Thursday after a toy drone was detected flying about 100 feet above Lafayette Park, right in front of the White House. The man flying the drone was detained by the Secret Service and instructed to land the drone. Once he did, it was swept and declared safe by the Metropolitan Police Department. He is currently in the custody of U.S. Park Police and has been arrested and charged with violating regulations that prohibit flying a drone in a restricted area. CBS News has learned the drone operator is a videographer from California who was in Washington, D.C. to film an event. The incident comes just one day after the Federal Aviation Administration (FAA) declared "No Drone Zone" around Washington, D.C. and communities within a 15-mile radius of Ronald Reagan Washington National Airport, which is located nearby in Virginia. After the 9/11 attacks, new rules created a "national defense airspace" over Washington, D.C. that prohibits any aircraft that do not have FAA and Transportation Security Administration approval from flying over the city. Violators can face fines and criminal penalties. "The bottom line: Enjoy your visit to the Nation's Capital. Bring your family, your cameras and plenty of sunscreen. Just don't bring your drone," the FAA said. This is not the first time a drone has been flown onto White House grounds. 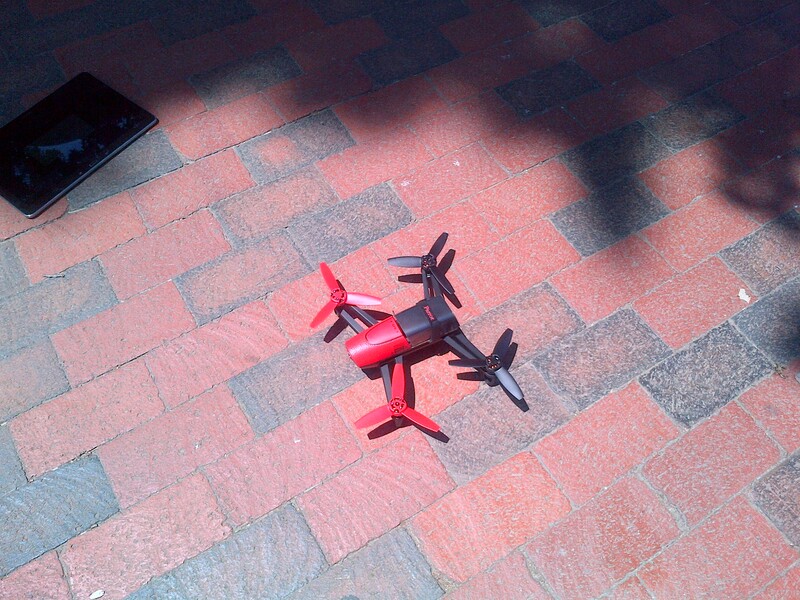 In January, a small "quad coptor" device crashed on the southeast side of the White House. The operator, an off-duty employee of the National Geospatial-Intelligence Agency, called the Secret Service afterward to claim responsibility.